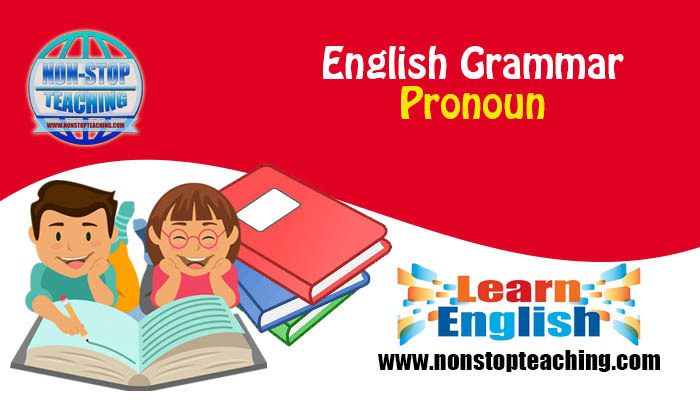 A pronoun is used in place of a specific noun mentioned earlier in a sentence so that you don’t have to keep saying/writing that particular noun. The word or phrase that a pronoun replaces is called the antecedent of the pronoun. In the previous example, the original noun ‘the coach’ is the antecedent and the pronoun ‘he’ is the referent because it refers back to the original noun. The antecedent and the pronoun/s must agree in terms of number and gender. Subject pronouns work as the subject of the verb in a sentence. A subject pronoun normally replaces the subject/object (a noun) of the previous sentence. Mike can’t attend the party. He has gone to his grandparents. Marta is a good storyteller. She told a ghost story that scared everyone. Object pronouns work as the object or indirect object in a sentence replacing the antecedent object. This form of the pronoun is also used after prepositions. Tell her that you’ll take the job. Possessive pronouns replace the nouns of the possessive adjectives: my, our, your, her, his, their. The possessive pronouns are mine, ours, yours, hers, his, its, theirs. The pronoun ‘who’ also has a possessive form, whose. Those four suitcases are ours. Reflexive pronoun redirects a sentence or a clause back to the subject, which is also the direct object of that sentence. A reflexive pronoun comes when the subject performs its action upon itself. Here, ‘itself’ is a reflexive pronoun. She allowed herself more time to get ready. The computer restarts itself every night. We told ourselves that we were so lucky to be alive. Intensive pronouns add emphasis/importance but do not act as the object in the sentence. They can appear right after the subject. I myself saw the missing boat into the harbor. We intend to do all the work ourselves. You yourselves are responsible for this mess. Relative pronouns introduce the relative clause. They are used to make clear what is being talked about in a sentence. They describe something more about the subject or the object. The car that was stolen was the one they loved most. A person who loves nature is a good person. Our school, which was founded in 1995, is being renovated. Whoever you are behind this great initiative, I want to thank you. Demonstrative pronouns normally indicate the closeness of or distance from the speaker, either literally or symbolically. This, these, that, and those are the demonstrative pronouns. They also work as demonstrative adjectives when they modify a noun. However, demonstrative pronouns do not modify anything rather replace the nouns/noun phrases. Sometimes neither, none and such are also used as demonstrative pronouns. Neither is permitted to enter the building. Such are ways of life. Interrogative pronouns produce questions. They are what, which, who, whom, and whose. Who, whom, and whose refer to questions related to a person or animal; what refers to an idea, object, or event; and which can indicate either a person/s or a thing/s. What was the name of your dog? Whom do you prefer in this competition? There’s a new bike on the lawn. Whose is it?